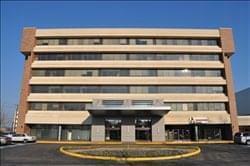 Find My Workspace lists over 95% of the executive office suites market in Rockville. Simply click Request Quote to check pricing for one office, or Add to Basket for multiple offices. Clients can enjoy the benefit of the center’s modern reception area, three conference rooms, two fully-equipped boutique kitchens, business lounge and fully furnished work spaces. Ample garage parking is available on-site at monthly, daily, or hourly rates. After hours building access is protected by Datawatch Systems. Virtual offices are also available from $75/month. To obtain information for your selected Rockville Executive Office Suites, please tick the "Add to basket" box for each office you prefer and complete the form below. We will then send a detailed report via email.